A day after New York City FC announced David Villa’s departure from the club roster options were released for the 2019 season. Four players have had their options exercised for 2019. Daniel Bedoya, Jeff Caldwell, Sebastien Ibeagha and Brad Stuver. New York City FC has activated Valentin Castellanos’ option to purchase from Club Atletico Torque which means he joins NYCFC on a permanent basis. 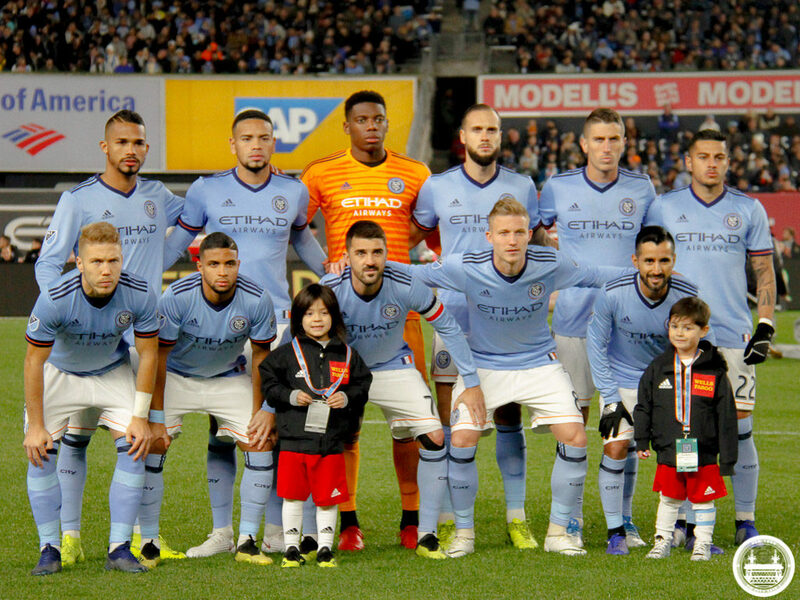 NYCFC has declined the 2019 contract options for Eloi Amagat, Kwame Awuah, Maxime Chanot, Tommy McNamara, Ebenezer Ofori, Andre Rawls and Rodney Wallace. Yangel Herrera (who was seen on Instagram on a flight heading to England) and Saad Abdul-Salaam will be out of contract on December 31, 2018. The Club has extended a bona fide offer to Abdul-Salaam, which allows the club to retain his right of first refusal. While we continue to have discussions with a number of these players ahead of the 2019 season, we would like to sincerely thank all the players for their contributions to the Club, especially Tommy McNamara who has been here since the very beginning. Saying goodbye is always difficult but we wish each of them the very best in their careers. It is important to note that NYCFC could still re-negotiate contracts with the players who they did not exercise their options with.